I think that's a very good point, fans getting attached to players they see in the reserves. Yes, but the point is whether he was at the level Greenwood is. He was not. He was a surprise in the sense that he excelled at the first team level when the others who were better at youth level, did not. You're confusing the argument. People aren't saying he was some nobody who was put in the first team and just ripped it. People are saying he was a great player, but not someone who everyone thought was a cert to make it. 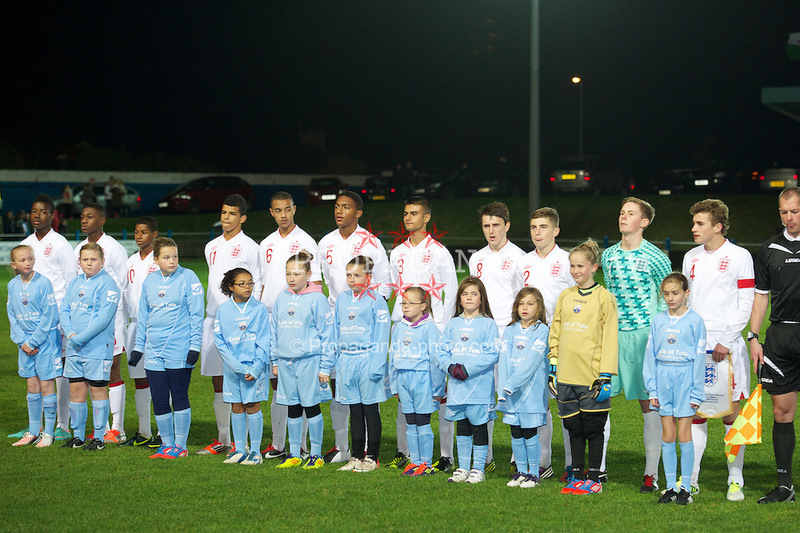 This photo has been posted elsewhere but you can clearly see Rashford is the smallest in the England line up in 2012. He was included as he was thought to be an exceptional talent. I don't think there were any other United players there, maybe that's Dean Henderson in goal? Technically Greenwood is light years ahead of any other striker we have. Hopefully he’s athletic enough to cope with the men’s game which is what Wilson lacked. Deano is the keeper and CBJ is number 6. Demi would have likely been on the bench as well. This is I'm assuming the 2012 victory shield and Demi was also involved in it. How pacey is this guy? Even if that is the argument being made, I don't think it's true. Rashford was the highest rated academy product in quite some time, @roonster09 pointed some quotes out and there are others out there. I remember Ravel Morrison's agent saying Rashford was the best player in the United academy after the Morrison/Pogba generation. It's difficult to judge as he has quite a long stride, but the answer would be "fast enough". He's rarely ever outpaced from what I've seen, and he's quick enough to stay ahead of defenders. Dont get why people are trying to praise that last performance. He was shite. It happens to everyone. Even players as gifted as Mason. Does it matter? It was only a reserve game. Didn't he get an assist? You're never going to convince me of this because I have watched the u18s and u21-u23s. There is nothing in Rashford's performances that said he was a clear cert where as Adnan, Greenwood, Wilson, Ravel, etc... weren't. It's just making something up because hindsight shows us that clearly there must have been something that Rashford showed that others didn't that would lead to succeeding at the top level. There just isn't. You're right that Morrison's agent said as much, but that was when Rashford was much younger. For example, what did Rashford show at that young age that Gomes didn't? Gomes was the more technical player who captained a really talented English generation. Again, I'm not saying Rashford wasn't rated. He clearly was as was Gribbin. I actually thought Mitchell was doing really well for the u18s prior to his injury, though I don't think he was as rated as Rashford prior to the u18s. Not sure on this. The point is, that Rashford was a great player, but at the same time wasn't some standout where everybody thought he was the next big thing as if you couldn't make that case for Januzaj, Gribbin, Gomes, Greenwood, and Wilson. The latter part of that statement is hugely relevant and connected to the former. Rashford excelled at the u18 level like all the other top talents did at the u18 level. You could definitively say or hope that United have a first team player within Rashford, but that would be the case as with all the other names I mentioned too. Did I say it mattered? Just find it strange that people are bigging up a poor performance. He did. But he had an off night overall. He did have an off night. Even his first two touches (weren't shown) were poor. His base game has largely been consistent, as has been his threatening ability. I would say his last performance was his worst performance since the step up to the u18s. some insane revisionist history (present too) re: rashford in here. Not sure which side of the argument this post belongs to. He’s in the 20 man squad for tomorrow’s game if anyone’s interested. Gomes is in there too. Thanks for the update. It would be very nice to see them both involved tomorrow if possible. Heard he may be starting this evening. Risky from Solskjaer but we are in need of an injection of something and this boy can certainly provide it. I'd love it if he started. Why not? Hope so. Give guys like Rashford and Martial a kick up the backside. I don't know if he'll make it, but for me his attributes for a young striker are exceptionally rare. Having, in times of more free hours, been a proper reserve junky, we've had a lot of 'Rashford-like' strikers in the years. Ebanks-Blake, Wilson, Josh King all come to mind - players with decent technical skills, but loads of pace and hence decent numbers at that level. The ultimate examples are probably Agbonlahor and Sterling - both of whom absolutely tore apart youth leagues and set insane scoring records. Greenwood is far more exciting in my opinion because he doesn't rely on pace to excel. You can watch him for 30 seconds and just see 'it' - the way he moves with the ball, the way he receives it and his balance. It's a lot more like Rossi or Ravel - both supremely talented sure things that for obvious reasons it didn't work out. Hopefully he has luck with injuries and the mindset - if he does I can't imagine a scenario where he doesn't have a very good career. Would love to see him play more than 20 minutes! Would be good to see him. More important though is giving Martial minutes as CF to see if he can do it against Barca. We should treat this like a training exercise, regardless of how important it is, and hope we have enough to get 3 points. This game is more important than the Barca game why would we treat it as a training exercise? Risk / reward. We have to be at our best against Barca, against West Ham we can get 3 points with an average performance. I would rather win against Barcelona and run deep in the CL with a chance to win it, than lose and win this West Ham game. So disagree it is more important. 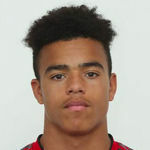 It will be very interesting to see Greenwood in this match anyways. This game is more important to get into the CL and improve over the summer to get closer to Europe's elite. Average performances have got us nothing recently. Top 4 is priority over beating Barca in my opinion, if the tie was in our advantage then it can be argued but 1-0 down going to the nou camp makes 3 points today more important. They are both priorities. You don't give up on a CL quarter final when you are only one goal down from the 1st leg. This is United. Have to put faith in the players to do a job today and have our best team for Barca. You have to feel sorry for Greenwood. Every time he comes on the field he plays on the right side, which as you know, is a footballing vacuum in our system. True. But I think he worked good defensively to shut out their fullback as a passing option. I agree, he did well in that regard, but I'm talking in general. Anyone who plays on that side, unfortunately, has no supporting options to play off. Didn't expect much from Mason today but an experience for playing in PL is far more valuable for him in long term, hope he'll transition his youth performance into a senior. Should have come on at half-time. I do not know what we waited for. Another dollop of experience for him, nothing more or less.